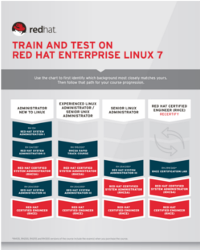 This course is designed for Linux® system administrators who want to deploy and manage a large-scale Red Hat® OpenShift Container Platform environment in their datacenters. Design a highly available cluster Design an OpenShift cluster that supports high availability and resiliency. Prepare to install an HA cluster Configure the advanced installer and prepare the cluster environment for HA installation. Configure OpenShift to use custom certificates Configure the OpenShift cluster to use custom certificates. Build an HA cluster Use the advanced installation method to build an HA OpenShift cluster. Provision persistent storage Describe storage providers, configure a provider, create a storage class, and test the configuration. Enable log aggregation Consolidate useful data for analysis by enabling the log aggregation feature. Maintain an OpenShift cluster Perform recurring maintenance activities on an OpenShift cluster. Manage system resources Manage operating system and cluster resources for optimal performance. Configure security providers Configure security providers and advanced security options. Configure networking options Configure various advanced networking features and options.